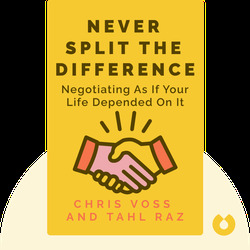 Never Split the Difference (2016) is your guide to negotiation. 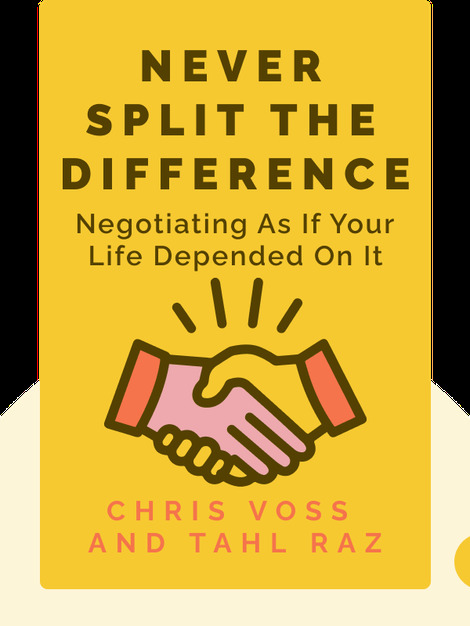 Based on the extensive FBI work of Chris Voss, the authors offer up hands-on advice about how to negotiate your way to success, whether it’s in the office, the home, or a hostage stand-off. Chris Voss is a former lead kidnapping negotiator with the FBI. His many years of experience negotiating with all manner of criminals make him an expert in the field. He’s the founder of negotiation consultancy The Black Swan Group and a professor who has taught negotiation courses everywhere from Harvard University to MIT’s Sloan School of Management. Tahl Raz is a journalist and co-author of the New York Times bestseller, Never Eat Alone.